Ford has released statistics cultivated from its MyFord Mobile app that reveal just how much Ford plug-in hybrid drivers go entirely electric for their daily drives. The results show that owners of Ford plug-in hybrid vehicles drive enough electric-only miles every day to circle the equator eight times. Not that we’d recommend trying that yourself. It can get pretty hot down there. 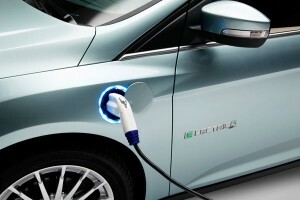 MyFord Mobile—an app that is downloadable through App Store and Google Play—enables owners of the plug-in Fusion Energi and C-Max Energi and the Focus Electric EV to connect to their vehicles via an embedded AT&T wireless module that can reveal information to Ford’s designers and engineers. The information revealed in the company’s official press release shows that Ford plug-in hybrid drivers travel more than 8,400 miles every hour using only electric energy. This adds up to 203,000 miles of electric-only driving every day, which equals out to an undeniably uncomfortable eight trips around the hottest part of the Earth. North Point Ford sells Ford and Lincoln cars and trucks to the Pryor, OK area. North Point Ford also provides top-quality service using OEM parts and strives for 100% customer satisfaction.